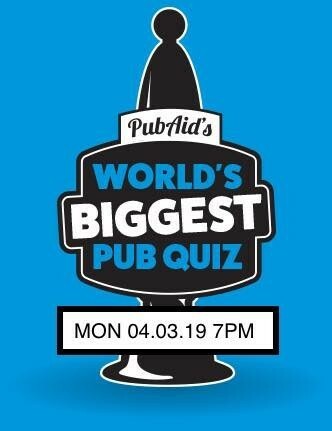 Join us Monday from 7PM for PubAid’s World’s BIGGEST Pub Quiz at the Farmers Arms Shadforth. Your £2 entry goes directly to the charity! Also we are serving chilli, nachos and wedges at half time so come on down and help support prostate cancer awareness!